Apple CEO Tim Cook has tweeted in memory of his former boss and mentor Steve Jobs, who passed away on October 5, 2011. 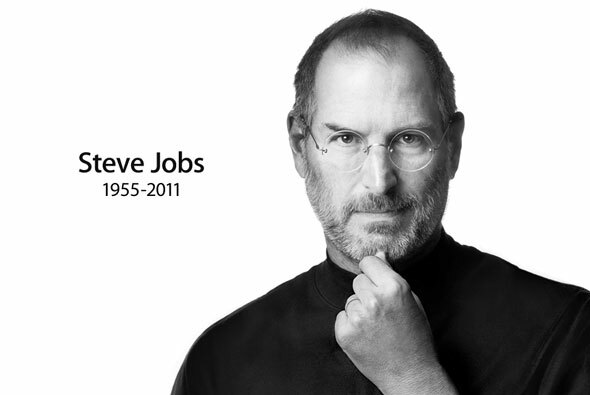 Today marks the seventh anniversary of the Apple co-founder's death. He was 56 years old. "Steve showed me—and all of us—what it means to serve humanity," tweeted Cook, alongside a photo of Steve. We rounded up many other comments in our 2011 article for those who wish to look back, while Apple still has a Remembering Steve page on its website with condolences and memories from customers. Lisa Brennan-Jobs, the eldest daughter of Steve, recently shed a less flattering light on her father. In her "Small Fry" memoir released last month, Brennan-Jobs described both "moments of joy" and "coldness" about her father, including his "frequent use of money to confuse or frighten her." Well, Steve was a great thinker and entrepreneur but I don’t think he was the humanitarian that Tim Cook is describing him. I'm sure he would be proud to see the Apple of 2018. I'm not. I think he would be disgusted by several decisions Apple has made over the last 7 years. Rest in peace, Steve. Thanks for all that you did! Are you kidding right? Apple would never turned into a greedy fashionable brand under his leadership. Time flies... 7 years already! I remember reading the news on the very device he introduced to the market. I miss him especially during Apple keynotes, they were way more interesting to follow when he was on stage. So I immediately went online with the PC there. First with MacRumors, and then other credible sources and major tech websites... only to find that it was the truth. Every now and then I still watch his keynotes and interviews on YouTube. It's a bit surreal to find such a vibrant man dead... You'll be in every Apple fan's heart. I was in the Shinjuku-sanchome Apple store last night and suddenly it dawned on me. As I was looking around at the various product lines, I came to the conclusion that the magic Steve brought to Apple is gone. I felt no excitement at all about any of the products like I used to. Mac or otherwise. Sure, their products are still good, some are still great even. Just not insanely great. Cook's vision for Apple, while immensely profitable, has been utterly boring and soulless compared to the excitement and boundless innovation Steve was able to deliver so many times. I was out of the store, empty handed in under 5 minutes. The crazy ones - BEST AD EVER! Apple now is the money grubbers!